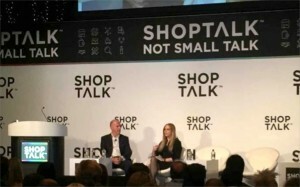 The Fung Global Retail and Technology team attended Day 1 of the inaugural Shoptalk conference, which its organizers describe as “the tech event for nextgen commerce.” We joined more than 3,000 attendees, including C-suite executives, entrepreneurs and retail leaders from 20 countries, on Monday as they gathered in Las Vegas to explore disruption in the retail industry, particularly in how consumers discover, shop and buy. Among those we heard from and met with were representatives of large retailers, startups, brands, technology companies and investment groups. Continuing the theme of rethinking the future of retail, Michael Dubin, Founder & CEO, Dollar Shave Club, spoke about disrupting legacy brands with a new business model. He built a subscription business with millions of members in only four years, expanding the company’s offerings from simple razors to over 20 grooming products all offered under the club’s motto, “Shave time. Shave money.” Dubin compared his competitive strategy to Starbucks. “What Starbucks did for coffee, we are doing for razors,” he said. Both companies create a lifestyle and culture around a daily activity that had previously been seen as mundane. To combat copycats entering the market, Dubin explained he is building an experience that evokes emotions. This is accomplished in many ways, including investments in an online content platform. Identifying and retaining the right talent for success in the changing retail landscape was a topic that resonated in the morning’s discussions. Ron Johnson, former JCPenney CEO and Founder and current CEO of ENJOY, described his new business, ENJOY, as a “personal commerce” platform. ENJOY is a new retail model that helps consumers not only buy, but also set up and start using tech products. Founded using lessons learned from Johnson’s previous positions at Apple and JCPenney, ENJOY sells tech products like tablets and drones at the same price as big retailers like Best Buy and the Apple Store. However, with each purchase, the products are delivered and set up in customers’ homes by a member of its “fleet” of experts, creating a personalized, “in-store” experience in customers’ homes. By providing the experience, the company continues to disrupt the traditional retailing model. I also had the opportunity to interview Nigel Oddy, CEO of House of Fraser. In 2014, British department store chain House of Fraser was acquired by the Sanpower Group, a Chinese conglomerate that was founded in 1993. Oddy noted that House of Fraser’s British heritage plays well in China. “I was at the premiere of Paddington Bear in China,” he recounted, “and every time a picture of London came on there was a cheer from the audience.” There is a strong demand for British culture and brands in China. In terms of its online business, House of Fraser entered the digital world ten years ago, which was very late compared to its competitors, but ensured consistency across all channels and a seamless experience for the customer. Oddy continued to stress the importance of offering a seamless experience to customers regardless of the channels in which they shop. The focus should be on the customer rather than the channel. Promotions and products cannot be offered in one channel and not the other. House of Fraser was one of the first retailers to hire a Chief Customer Officer and approach customers in a holistic way. Customers also want to feel special and they value feeling as if they are getting something exclusive. The apparel and beauty categories have been as challenging in the UK as it has in the US. 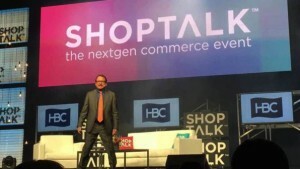 While Amazon’s success has clearly had an impact on the market, customers continue to seek experiences, and Amazon cannot offer a compelling in-store experience, Oddy said. That leaves room for retailers that are able to offer a differentiated experience to customers. Private label is another key part of the business, with 16 house brands offered across women’s, accessories, men’s and home. il Going Digital featuring James Rhee, Executive Chairman & CEO at Ashley Stewart; Mary Beth Laughton, SVP Digital at Sephora; Ratnakar Lavu, CTO at Kohl’s; and Pawan Verma, SVP & CIO at Foot Locker. 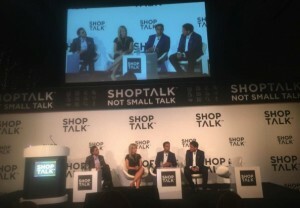 They discussed the importance of customer-centrism, mobile integration and in-store engagement. And at a session titled New Marketplace Startups, we heard from George Arison, Founder & CEO, Shift; Bill Bobbitt, Co-Founder & CEO, Move Loot; Nick Huzzar, CEO, OfferUp; and Andy Nielsen, President & CEO, Everything But The House. 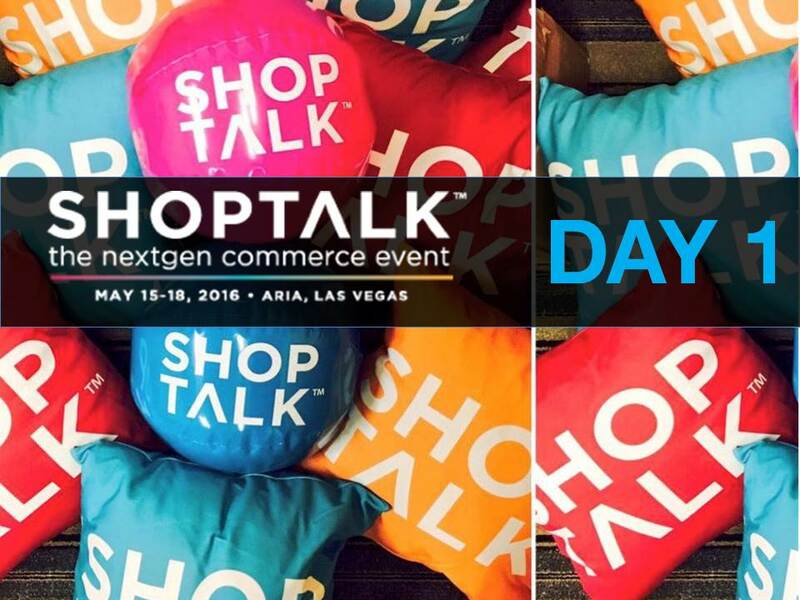 Read our report on Day 1 of Shoptalk for all the details.